Selecting blinds for your window frame is a necessary part in decorating your home or office. When it comes to blinds, Just Blinds 4 u offer you to opt from many types and Roman blinds are one of the timeless pieces that control light as well as privacy in a meticulous way. At our store, you will be endowed both with high quality material and fashion, where both can be found in an array of patterned screen, block, shades, and translucent and complete block-out material. Combining with the best fabrics and infusing various colours, our roman blinds are must have in every resident and in office. 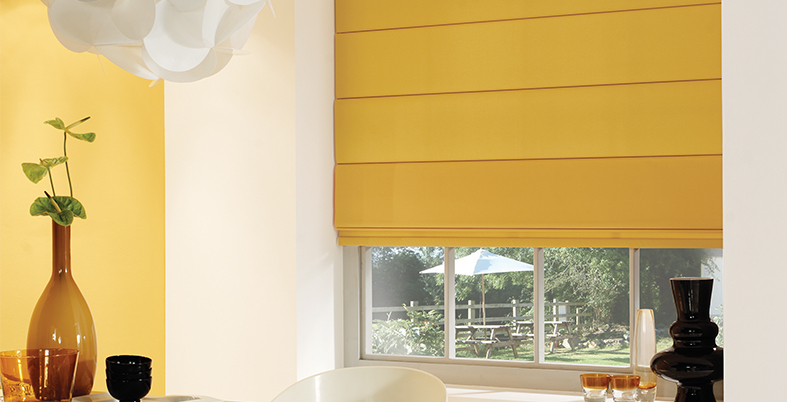 We offer you to customise your need for roman blinds with our array of pelmets and roller blinds. Roman blinds truly accentuate a lavish heritage look with its unique appearance and our experienced designers can ornate your room decor depending upon your need. Whether you need it for kitchen, dining space, hallway, bedroom, bathroom or for your office conference room, we would be happy to advice you the compatible range. Why buy roman blinds from us? •	Timber or aluminium coated provides maximum UV protection while release required light. So, if you are looking for diverse style and shape of roman blinds then simply call us. We are here to help you with our stock!